There are many retinal conditions that can compromise the health of the eye and damage a person’s vision. At Monterey County Eye Associates, our eye doctors diagnose and treat retinal disorders to preserve a patient’s vision and prevent permanent damage. When it comes to treating these conditions, time is of the essence. It is important to treat retinal disorders early before the damage is irreversible. This is especially true in the case of retinal detachment. 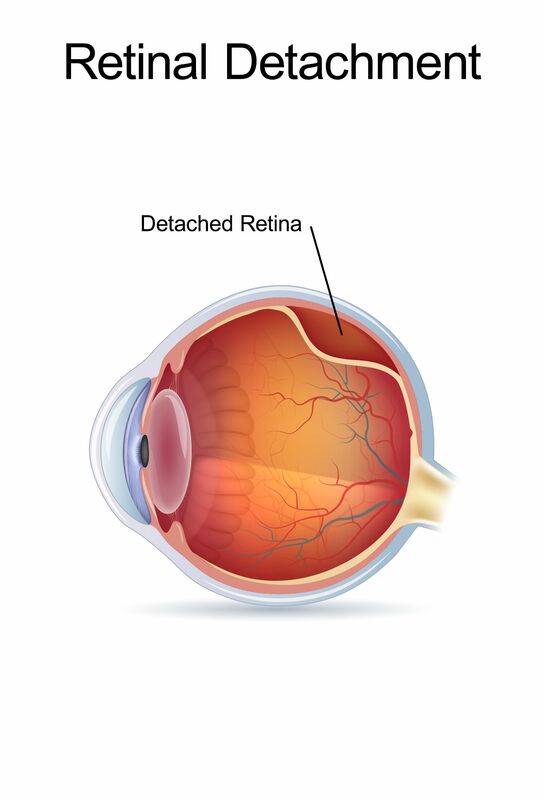 Retinal detachment, the separation of the retina from the back of the eye, is not a painful condition, but it can lead to complete vision loss. Here, our eye doctors discuss retinal detachment symptoms so our Monterey, CA patients know when it is time to seek treatment. If these symptoms are ignored, they will only continue to progress. Without proper diagnosis and treatment, retinal detachment can eventually lead to blindness. Although retinal detachment can occur at any time, there are patients who face a higher risk of this eye complication. Patients over the age of 50, those who have suffered from an eye injury, those with a previous eye surgery or eye disease, or those with advanced diabetes are more likely to experience retinal detachment. These patients should be especially aware of the symptoms of this condition so that any necessary treatment can be provided as soon as possible. Retinal detachment is a condition that should be taken very seriously. If it is not treated in a timely manner, there is a risk of permanent vision loss. Because the potential consequences of retinal detachment are so severe, it is important to seek treatment at the first sign of symptoms. Any patient who has experienced any of the previously mentioned symptoms should schedule a comprehensive eye exam as soon as possible. With early diagnosis and treatment, patients can prevent permanent vision loss from retinal detachment. At Monterey County Eye Associates we offer a comprehensive range of general eye care services, including treatments for retinal disorders, such as retinal detachment. If you are concerned about the health of your eyes, schedule an appointment at your earliest convenience to learn how our experienced eye doctors can help you preserve your vision.